When it comes time to choosing a storage container, go clear or go home. 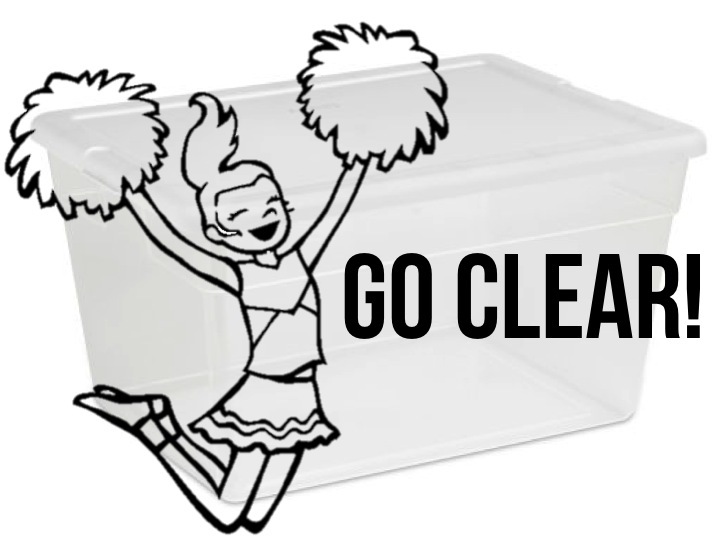 A clear container will allow you to see what's inside and access it accordingly. Think: saving time, using superhuman powers. Don't get distracted by patterns and colors -- stay clear.